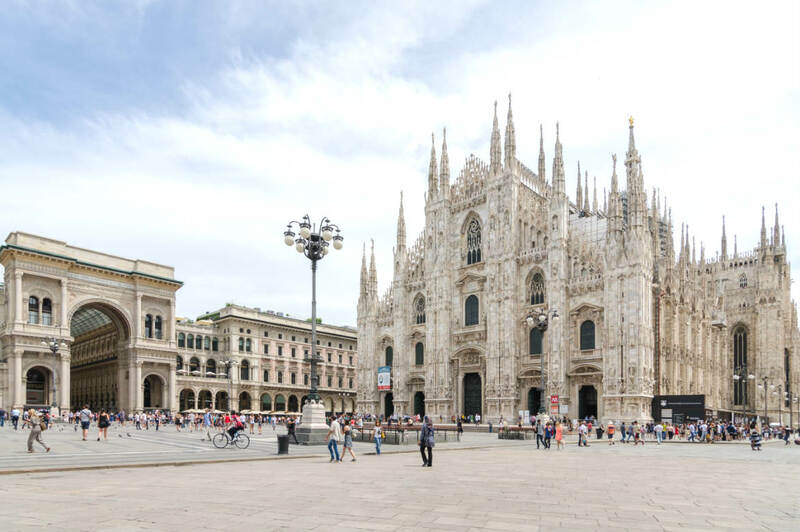 Perhaps best known as a hub of cutting edge fashion and design, Milan is a destination that offers more than first meets the eye, from its incredible history through to its world-class arts scene. Whether you only have a day to explore, or are set to spend more time discovering this fine Italian city, be sure to check out some of our favourite things to do in Milan! 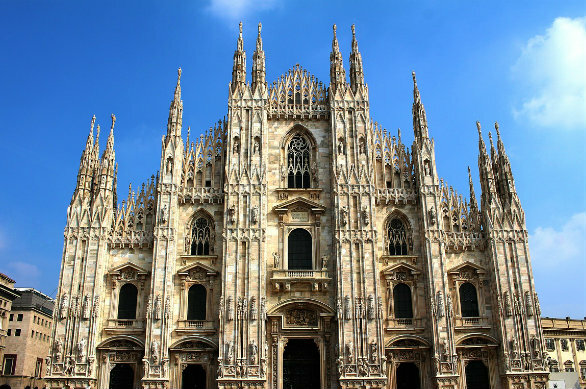 The largest church in Italy, Milan Cathedral (Duomo di Milano) is one of the city’s most easily recognised buildings. Standing tall above Cathedral Square (Piazza del Duomo), the Gothic cathedral is ornately decorated with more than 3,000 statues, 135 spires, a white marble exterior and a number of spectacular stained glass windows. Taking close to six centuries to construct, the cathedral’s interior is just as impressive as its exterior, with elaborate altars, grand architecture and an assortment of statues and paintings scattered throughout. For the opportunity to soak up great views of the city, book a guided tour and see the cathedral’s spires and statues up close. Galleria Vittorio Emanuele II, Milan, Italy. Image Credit: Heinz Bunse / CC by SA 2.0. 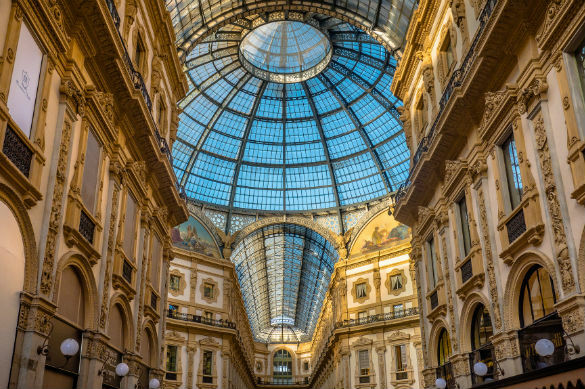 Constructed during the mid-19th century, Milan’s Galleria Vittorio Emanuele II is one of the world’s oldest shopping malls, operating on the same site for around 150 years. Well known for its grand design and distinctive iron and glass roof, the building houses an assortment of retailers, restaurants and bars, making it a great place to wine, dine and shop up a storm. From the tiling that covers the floor to the spectacular paintings that sit just below the glass ceiling, not only are the items sold in the resident high-end boutiques stunning, but so to is the historic building that they call home. Da Vinci’s Last Supper, Milan, Italy. Image Credit: Naval S / CC by 2.0. 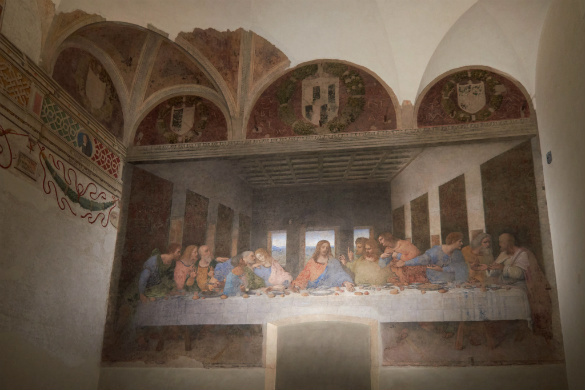 Considered to be one of Leonardo da Vinci’s most famous works, a visit to the refectory next the Basilica di Santa Maria delle Grazie is the perfect opportunity to see the Last Supper (Il Cenacolo) in person. Although the work has seen some damage over the last few centuries, due in part to misguided restorations and da Vinci’s experimentation with his painting materials, the spectacular scale and beauty of the work remains. To visit the masterpiece, you will need to book in advance, so be sure to plan ahead if you don’t want to miss this iconic Milanese attraction. Leonardo da Vinci National Museum of Science and Technology, Milan, Italy. Image Credit: Jakub Halun / CC by SA 2.0. 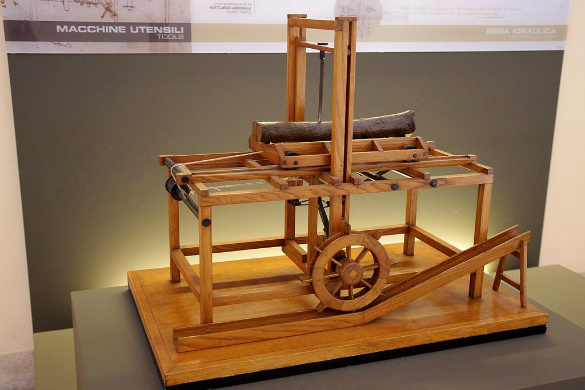 One of the largest science and technology museums in Europe, Milan’s Leonardo da Vinci National Museum of Science and Technology (Museo Nazionale Scienza e Tecnologia Leonardo da Vinci) is home to a collection of models based on da Vinci’s drawings, an assortment of interactive displays and no shortage of educational exhibits. Learn about space and the universe, climb aboard the Enrico Toti submarine or enjoy the opportunity to see how science and technology have rapidly evolved over the past few hundred years. Hands on, informative and incredibly interesting, it’s easy to spend a few hours exploring the museum. Parco Sempione, Milan, Italy. Image Credit: Veselina Dzhingarova / CC by 2.0. 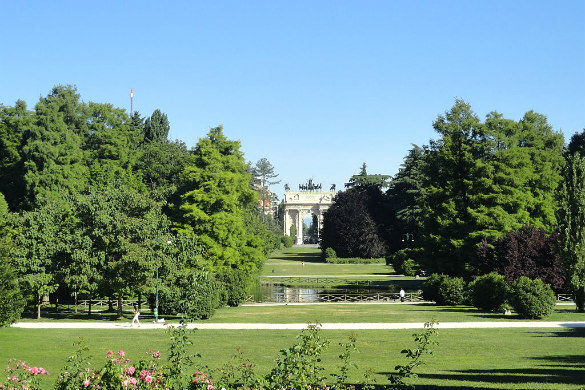 Covering just over 38 hectares in total, Parco Sempione is one of Milan’s largest green spaces. Established in the late 19th century, the park is a great place to head for some peace, quiet and tranquility. Peppered with trees, flowers, an artificial lake and a number of historic buildings, there’s plenty to see as you enjoy a stroll through the grounds. Be sure to keep an eye out for Sforza Castle (Castello Sforzesco), the Arch of Peace (Arco della Pace) and the Civic Aquarium of Milan (Acquario Civico Milano), if you’re interested in discovering more of the city’s history and cultural scene. Teatro alla Scala, Milan, Italy. Image Credit: Anna & Michal / CC by 2.0. A grand Italian opera house, Teatro alla Scala (known locally as La Scala) is located just a short walk away from the Galleria Vittorio Emanuele II. Originally opened in the late 18th century, the building has undergone a number of renovations and restorations over the years, but remains one of the premier places in the city to catch opera and live theatre. 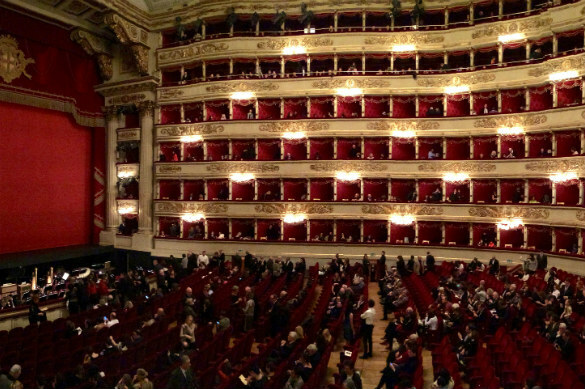 Join a guided tour of the theatre, pay a visit to the La Scala Theatre Museum (Museo Teatrale alla Scala) or sit back and enjoy one of the fantastic performances gracing the theatre’s stage close to daily. Brera Art Gallery, Milan, Italy. 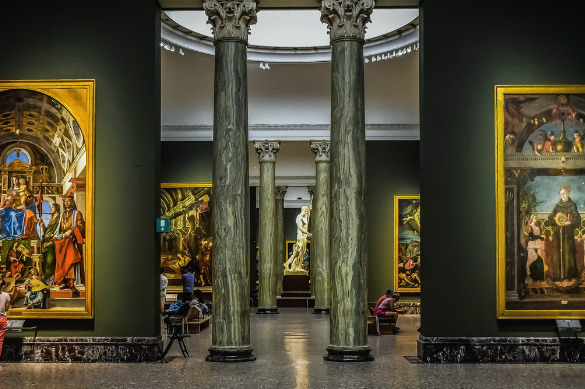 Featuring a fantastic collection of Italian artworks dating from the 14th to the 20th century, Brera Art Gallery (Pinacoteca di Brera) is widely thought to be one of the country’s best art galleries. Home to works by artists such as Raphael, Tintoretto, Mantegna and Caravaggio, the gallery’s 38 exhibition halls showcase incredible pieces of art that are rich with both colour and detail. Although many of the works do incorporate religious themes, the skill of artists on show makes it a fantastic addition to any art-lover’s itinerary. Ready to see the sights of Milan? Secure your place on an unforgettable Europe tour from Webjet Exclusives today! Feature Image Credit: Steffen Schmitz / CC by SA 4.0.